Located in Skiathos Town Center, Manolas is a white-washed hotel surrounded by evergreen trees, less than 1,650 feet from the ferry dock. It provides self-contained accommodations and an outdoor pool. 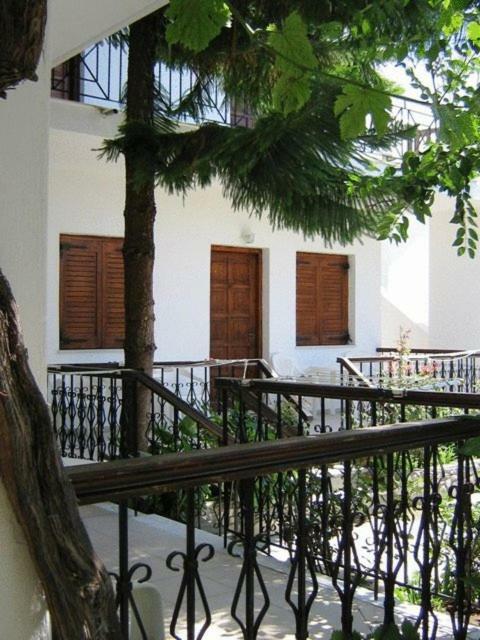 Air-conditioned rooms at Manolas Studios all open out onto private furnished balconies or patios with garden views. They all include a well-equipped kitchen, a TV set and private bathrooms. 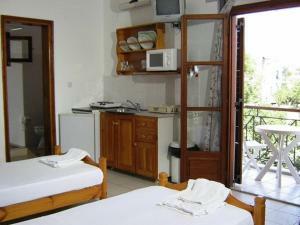 Guests can prepare their own meal. 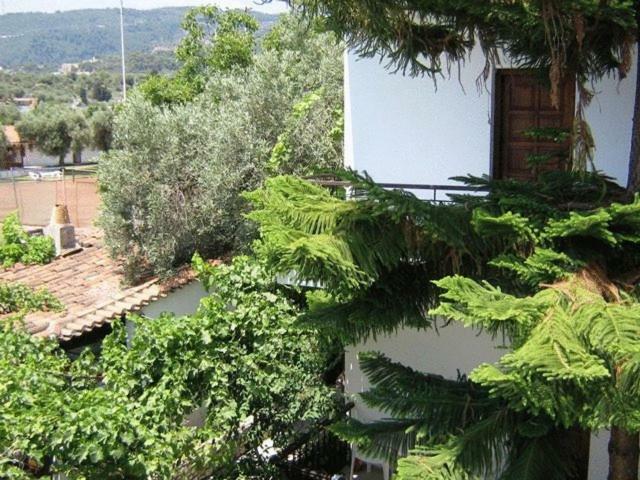 They can also benefit from the central location and discover many local eateries, serving traditional food from the Sporades Islands. 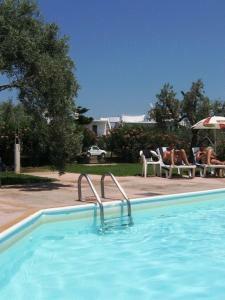 Guests can also visit the sister property, located right next to Manolas, which features a swimming pool. 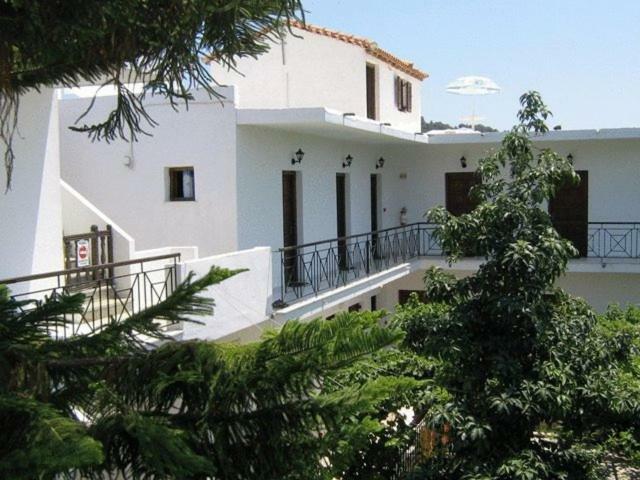 Popular Lalaria Beach is less than 1.2 mi away from the property and Papadiamantis’ House is a 5-minute walk from the Studios Manolas hotel. Next to the property, there is a tennis club offering free entrance to the pool. Free parking is available nearby. 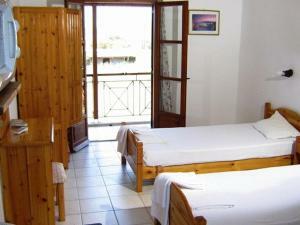 When would you like to stay at Manolas Studios? 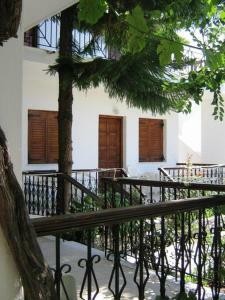 House Rules Manolas Studios takes special requests – add in the next step! Manolas Studios accepts these cards and reserves the right to temporarily hold an amount prior to arrival. The court yard grounds were relaxing. The studios were clean. The location was ideal for the port and local the supermarket. 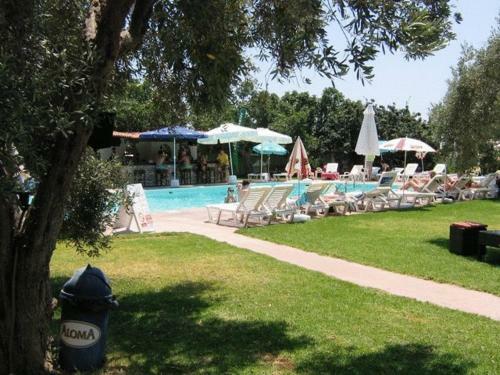 The pool within the tennis club grounds were relaxing and all the staff friendly.